weddings, banquets, club meetings, and many other functions. To schedule your event at the Runnymede, contact us. The Runnymede has a very colorful past. 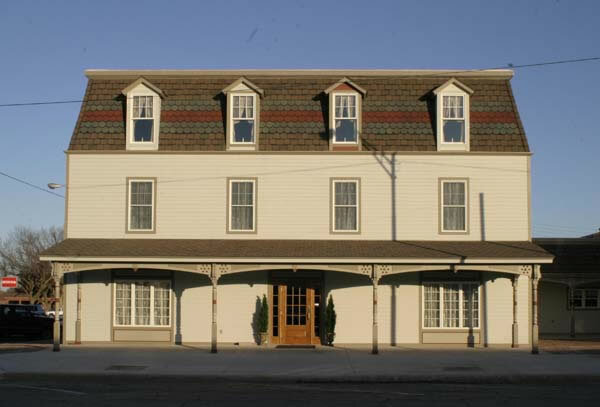 it was built in 1889 in the English Colony of Runnymede. When the colony failed, the hotel was moved from Kansas to Alva, Oklahoma in 1893, just days after the land run that opened up much of northern Oklahoma. The Community of Runnymede, Kansas doesn't exist anymore, but has an interesting and colorful history. You can read more about the building's history in Kansas and Oklahoma. After The Runnymede was moved from Kansas to Oklahoma it passed through several hands and had many different names. Eventually the historic building became run down and an eyesore. In 1998, a committee was formed, and with help from the Nescatunga Arts Council and the Bill Johnson Correctional Facility, plus many volunteers, the Runnymede was completely renovated and now appears much as it did when it was moved to Oklahoma. To view additional photos, please visit the photo gallery.